Christmas is just around the corner – and so are Christmas decorations. While light displays are amazing to visit, there’s something magical about visiting a town that simply transforms come Christmas time. Like something from a movie, these ten towns in North Carolina make your days merry and bright. Time to deck the halls, or better yet, the town! McAdenville isn't deemed "Christmas Town USA" for no reason. Each holiday season, the town of 600 or so residents turns into pure Christmas magic. You can drive, or walk, the 1.3 mile stretch. Houses, street lights, trees - anything really, is adorned in Christmas lights and decorations. 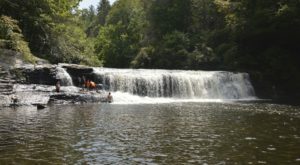 It's a must have experience in North Carolina! The best part - it's all free! On a normal day, the small town of Forest City is already extremely charming. 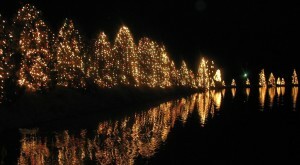 Come Christmas, 1 million Christmas lights adorn Main Street, with displays centered around the town fountain. 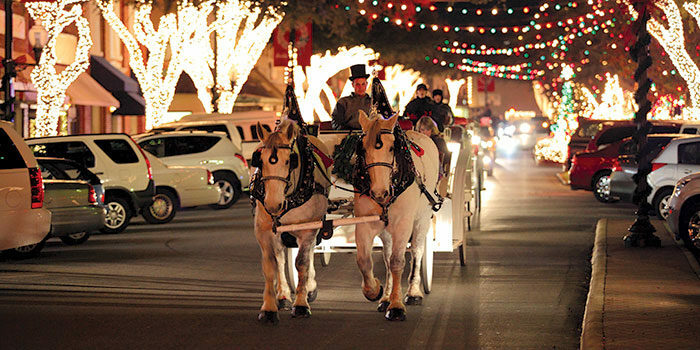 Take a horse and carriage ride to truly experience it. 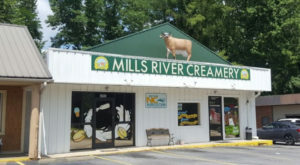 Forest City and Dillsboro both possess that same, small town charm - yet Dillsboro is different than any other on this list because their celebration is like something of yesteryear. Hundreds of luminaries line the main street, shops have live music and hot cocoa, there's also horse and buggy rides along with carolers. 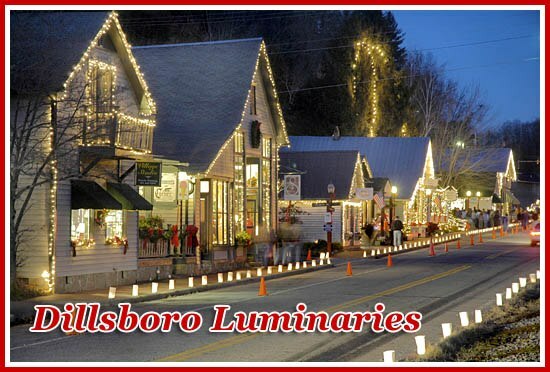 For a true, back in time experience, visit Dillsboro Lights and Luminaries. Santa seems like a pretty laid back guy, so there's no surprise he'd want to stop by the beach before the stress of Christmas Eve. 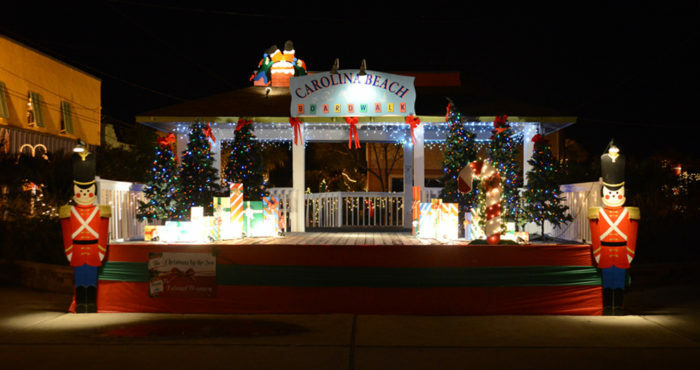 Carolina Beach transforms the boardwalk into pure magic with thousands of lights as well as inflatable displays and statues. There's plenty of activities for kids as well - drink some hot cocoa and visit with Santa. Christmas by the Beach sounds pretty good to me. 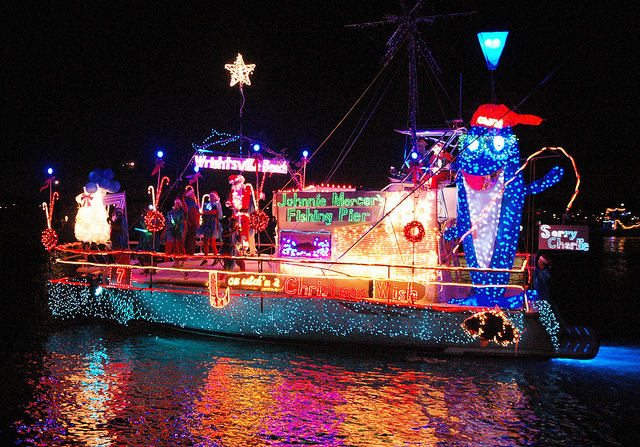 While you're in the area, you absolutely have to visit Wrightsville Beach for the annual Holiday Flotilla. 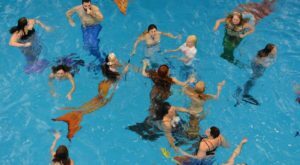 This seaside tradition, now in its 33rd year, takes place Nov. 25th and 26th. Hundreds of boats will be decorated to the nines and competing for 'best of' awards. It's a traditional Holiday parade but in true coastal fashion - along the water! 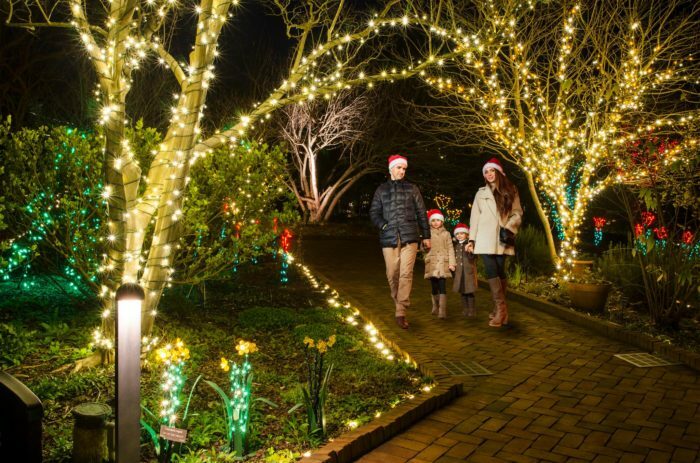 Celebrate the holidays in Moravian-style fashion at Old Salem. 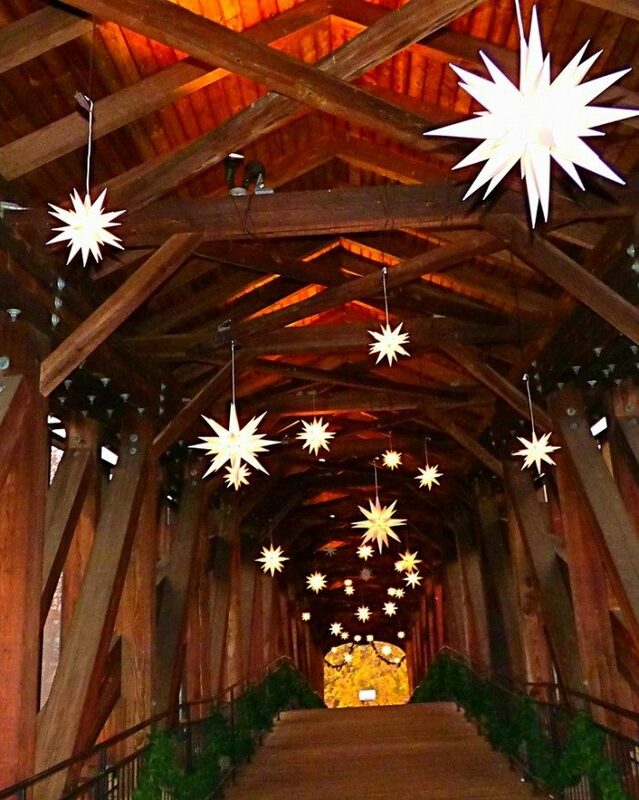 The bridge is beautifully decorated with Moravian stars, and you can even attend a love feast. It's a true blast from the past. Another popular way to ring in the season is catching the Nutcracker by School of the Arts. Last year, the ballet featured principle dancers from San Fransisco Ballet on certain nights. It's truly incredible. 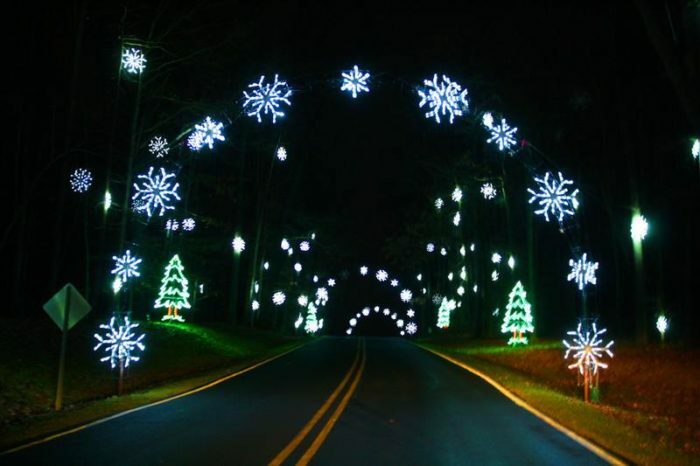 Not far from Winston-Salem you'll find the Tanglewood Festival of Lights in Clemmons. A beloved tradition for many in the Piedmont, drive through the park and witness the rolling hillside transform into pure magic. There's amazing, animated light displays and drive-thru light tunnels. In its 25th year, this one will be extra special! 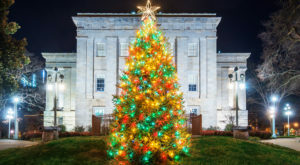 Step back into 1781, and visit North Carolina's first Capitol and first 'palace' for Christmas by Candlelight at Tryon Palace. The beloved tradition is a whole night of dancing, sipping cider, and finishing it off with a fantastic fireworks display. 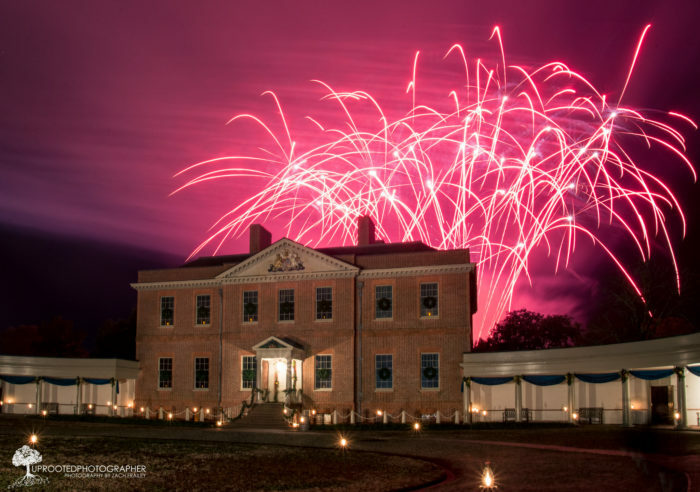 The 18th century Christmas extravaganza takes place this year Dec. 10th and 17th. 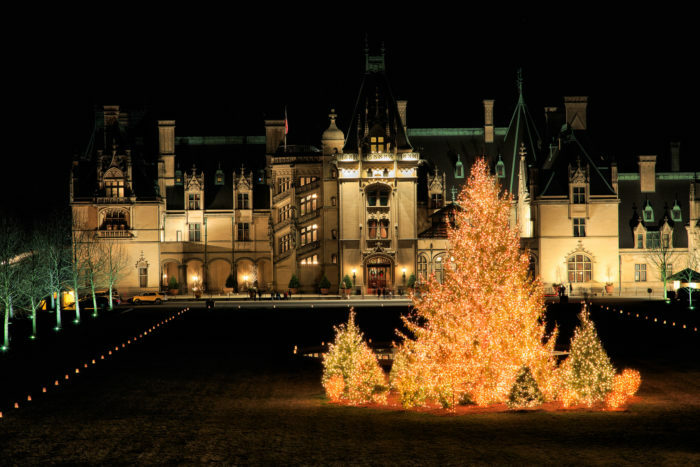 Is it really Christmas without a trip to Biltmore Estate? Over 70 intricately decorated trees line the lavish interior. This year's theme is "Hearth & Home" with each fireplace displaying unique decorations. 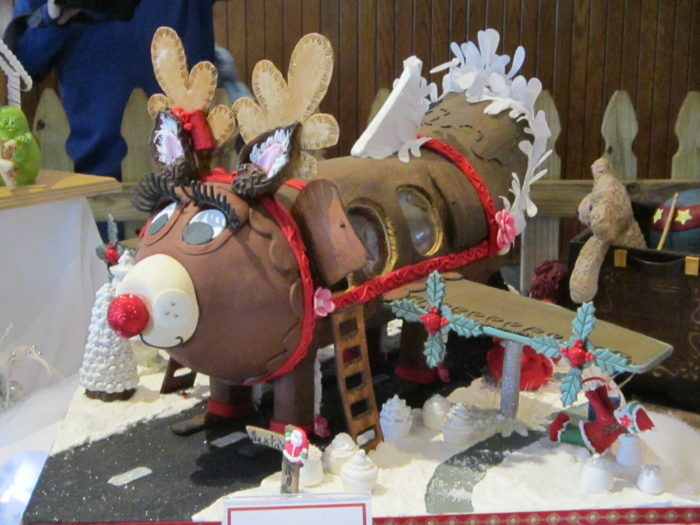 Don't forget to stop by The Omni Grove Park Inn to see the National Gingerbread Competition. These aren't your typical gingerbread houses - more so, complete works of art. They're simply incredible! Judging takes place Nov. 27th and the houses will be on display until January 5th. 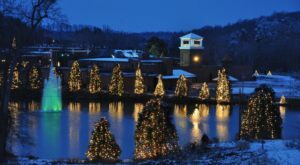 North Carolina's largest city transforms into a quaint European-inspired Christmas Village this coming season. Located in the heart of Uptown, Romare Bearden Park will be something plucked straight from Germany. 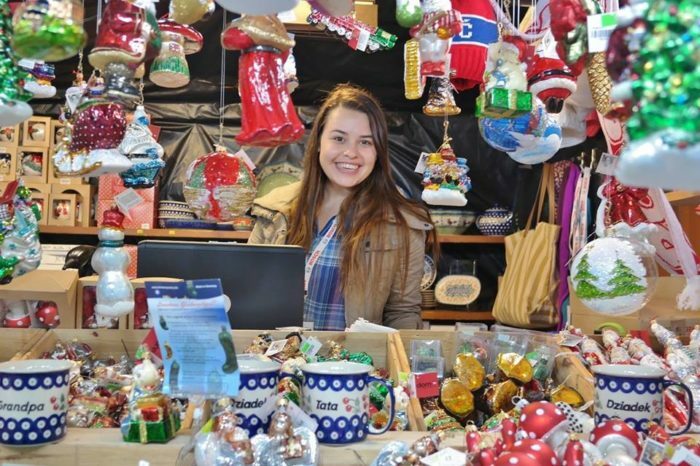 You can browse arts, crafts, even food vendors and try traditional dishes like bratwurst with sauerkraut or get sweet and get some Marzipan. After browsing the market, catch the Nutcracker by Charlotte Ballet. 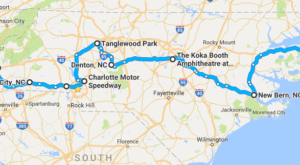 Not far from Charlotte, drive to Belmont and stroll through the ornately decorated grounds of Daniel Stowe Botanical Garden. Beautiful year-round, it becomes extra marvelous this time of year. 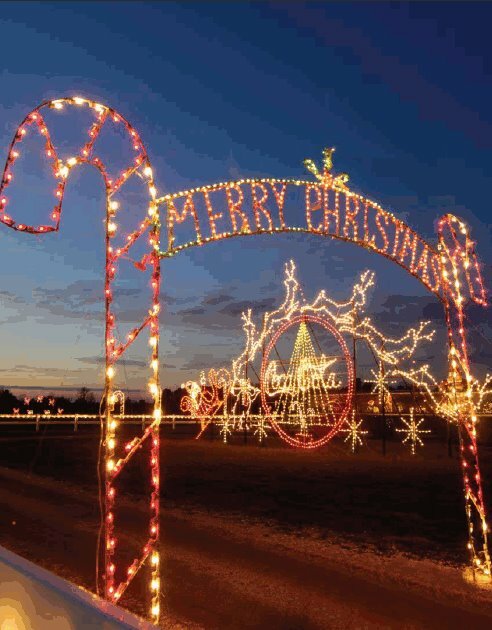 Meadow Lights in Benson is the largest and oldest Christmas light display in Eastern North Carolina. 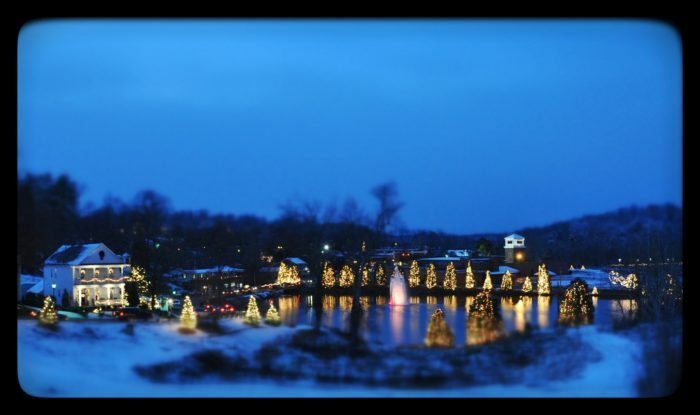 Family owned and operated, light displays are featured on 30 acres, with a train ride through 10. 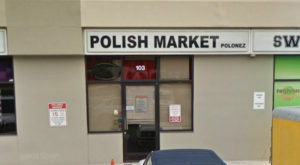 There's also carousels, and the Country Store for unique gifts. Throughout the state, things get very merry and very bright come Christmas time! I can’t wait to explore some of these enchanting Christmas towns! What are some of your favorite stops to ring in the season? For another way to get in the Holiday spirit, hop on board the Polar Express and relive all the magic from the beloved book.